The customised carbon fiber top plate for the Lumenier QAV250 has been designed to house and protect a GoPro camera. The plate allows the GoPro camera to be mounted on the front of the Mini QAV250 qudcopter, this means that the center of gravity is kept low while at the same time the GoPro is offered a level of protection. 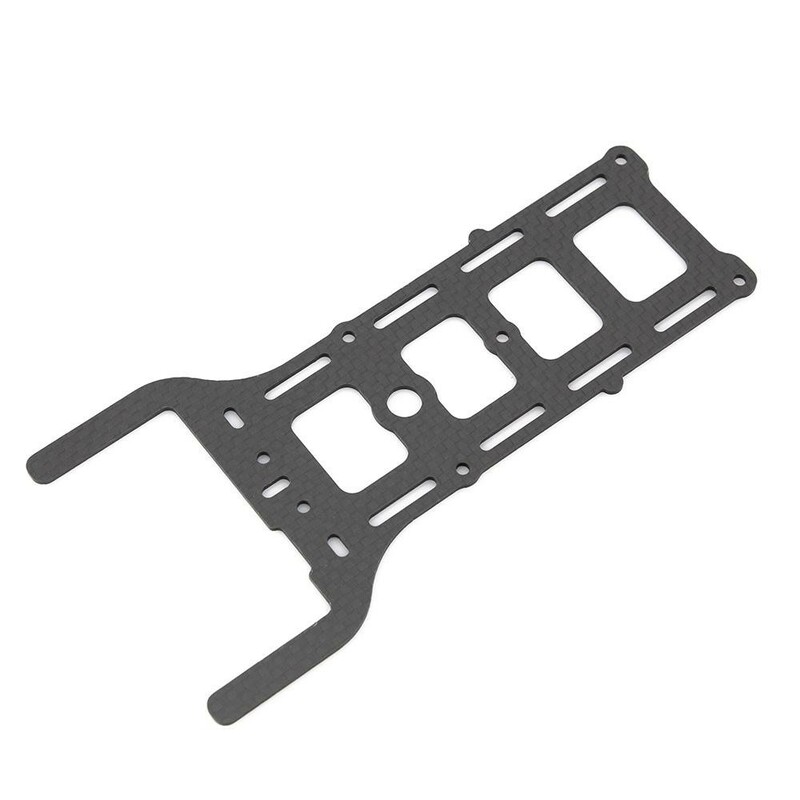 This plate has also two small bumps on the sides, these are directly placed where the center of gravity for the QAV250 should be. This makes it quick and easy to check and make sure your quad is balanced correctly. The plate is machined out of 1.6mm 3k carbon fiber. 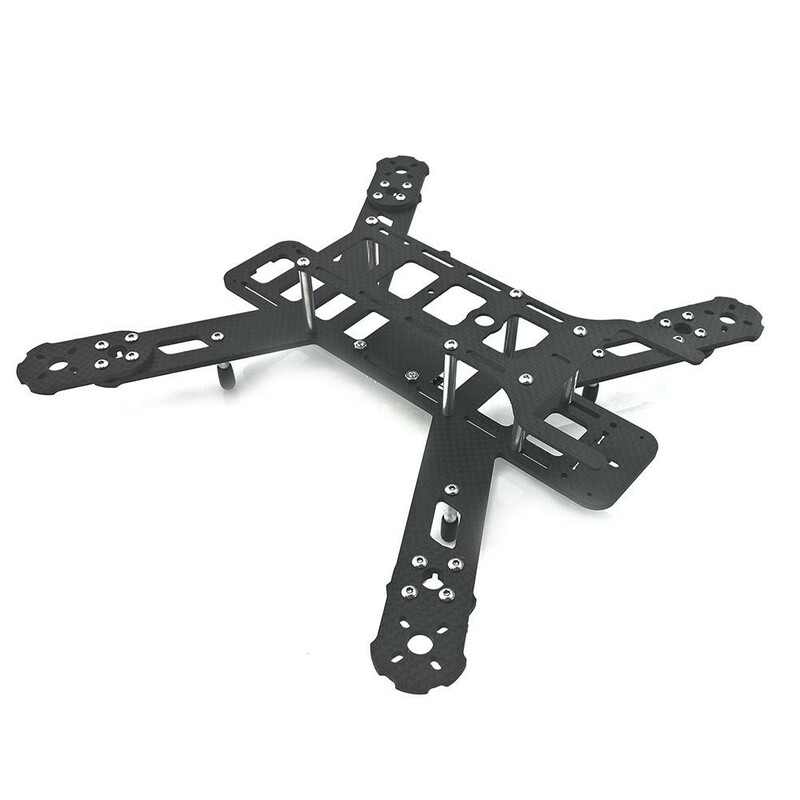 Note: To have enough prop clearance for the GoPro, you will need to add either the QAV250 Carbon Fiber Arm Extensions or the QAV250 Angled Motor Mount Extensions to the stock QAV250 airframe.